One of the biggest news items in the 3D printing world last week was the slew of Makerbot announcements, one of which was the opening of their first brick and mortar retail store, in New York, which happens to be the first true 3D printer retail store in the country. The store will feature MakerBot’s new Replicator 2 3D printer which sells for $2,200, along with Makerbot-recreated objects. The 150-person company is a powerhouse in the desktop 3D printer marketplace and while I don’t expect this to blossom into a phenomenon like the Apple store, it’s entirely possible that we’ll see more of these stores break ground. I’m hoping we at least get one out here on the west coast. The Bukobot 3D Printer[/caption]But digging deeper into the news finds that another 3D printer store has just opened, and this one is on the west coast. It opened just this last Sunday in Pasadena, California near CalTech, JPL, and Pasadena City College. It’s called eezmaker 3D Printers & Hackerspace‎, and it’s started by 3D printer builder Diego Porqueras. 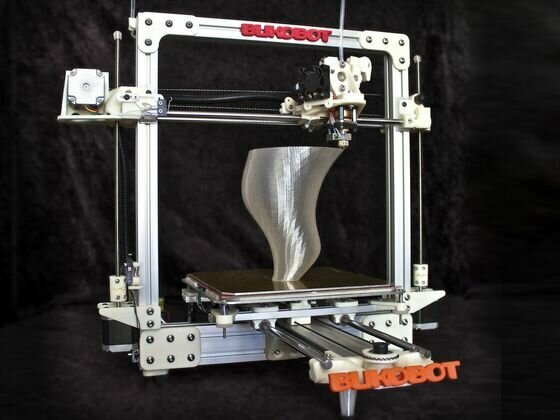 If you follow 3D printer projects on Kickstarter.com, you’ll know his name as the creator of the Bukobot, a highly successful crowdsourcing project that raised $167,410 back in May to allow him to begin building and selling his $599 base price 3D printer. This is the printer you’ll find for sale in the Deezmaker location. But Porqueras is smart enough to know that selling the Bukobot is not enough to keep a retail store’s doors open. He’s diversifying his business by selling other manufacturers’ 3D printers as well. According to the Deezmaker website, they will include Makerbot, ORDbot, Prusa Mendel and the Wallace. And he’ll also sell filaments, electronic parts, and other random electronic paraphernalia to whoever might walk in the door. Expanding out further, Deezmaker will also be a hackerspace with 3D printers, CNC routers, lathes, laser cutters, 3D printing services. In addition, they will be offering an educational space for classes on 3D printing and technology. Combining both the store and a membership-based hackerspace is smart, and perhaps even the only way to have a financially successful operation of either. I don’t think that simply one or the other would create what could be termed a profitable business–well, not yet anyway. They feed off each other. Those joining, learning and making may eventually want their own 3D printer and they can purchase one there; those coming in to just buy a printer, could be excited by the maker activity they see and become a member. Both the Makerbot and the Deezmaker retail stores look to be winners, each in their own ways, playing on their own strengths. We wish the best of luck to both.